The only tree form of Japanese yew. 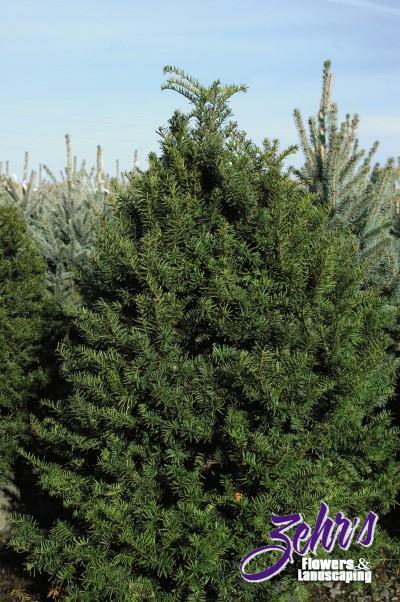 Dense slow grower with rich, dark green foliage. Tolerates shearing and can be grown in full sun or heavy shade. Requires good drainage. Can be used as a trimmed 8-10 foot hedge. Rarely to never fed on by Japanese beetles.